I'm in excruciating pain all day unless i sit back against a chair with my shoulder pressed back. i get nerve pain down my left arm into my wrist and thumb sometimes.i cannot take this anymore. I also have a weakened pulse in that same arm. I had a car accident and the doctors all say its c5/6 and i need a spinal fusion. I'm scared it's not caused by the neck. I'm scared they don't have itright. I'm fed.up. i know my body, something is wrong.my neck is limber and nkt in pain, it's fine and it doesn't bother me. Its all shoulder and scapula area and upper mid back. Help!? Yes, I'm sure you're worried and fed up. You are experiencing one of the most painful conditions we treat in Chiropractic clinics. It's often worse at night, right? There's a big gap in your story. How long have you had this pain, when was the accident, what do the X-rays and/or scans show, and what other treatment have you had? Let me know. That weakened pulse may be good news. I take it someone did Adson's test where your pulse is taken whilst you turn your head, look up and take a breath in. 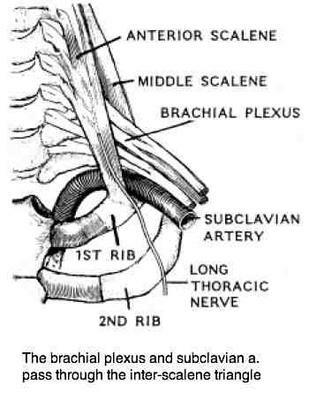 It's a sign of a condition called Thoracic Outlet syndrome ... an important sign is that the pain in the arm is WORSE when you lift your arms above your head, as in hanging washing, whereas in a slipped disc in neck the pain is usually relieved by placing your hand on your head, for example. The so-called Shoulder Abduction Relief sign. Adjusting the first rib and working on the scalene muscles will often fix it. 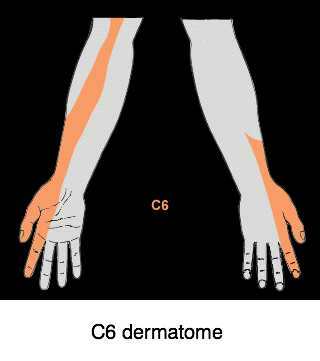 Please ask someone to do the Upper Limb Tension Test with you. Is the naughty lower arm much tighter / painful than the other? If you turn your head to that side, and then look up, what happens? 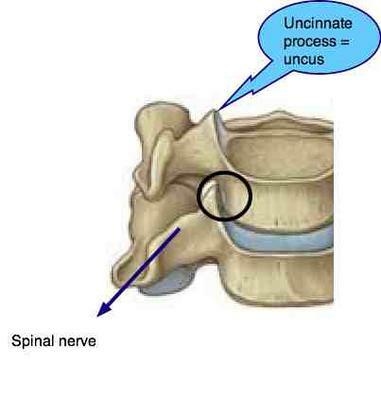 A C5 nerve root irritation often causes deep upper back pain which appears to be what you have too. It's complex. If you could forward a copy of your X-rays to Contact it would be a great help to me. One can have cervical ribs, UncoVertebral joint degeneration and others that cause this sort of pain. Search this site … for help with these terms. Do you know if you have any numbness in the thumb, or weakness in the triceps muscle or fingers? Let me have some answers, and those X-rays (photograph them with your camera) and I'll be able to give you a better idea of whether Chiropractic is likely to help you.